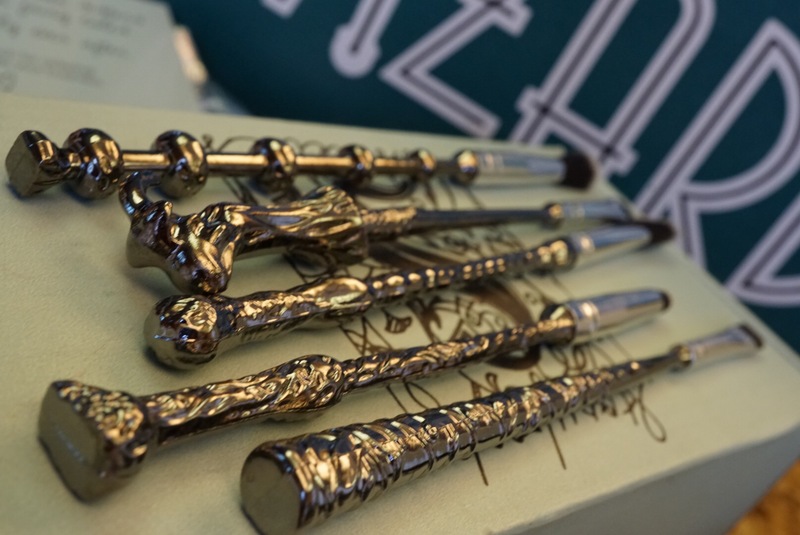 The wand chooses the wizard.. in this case the makeup addict! 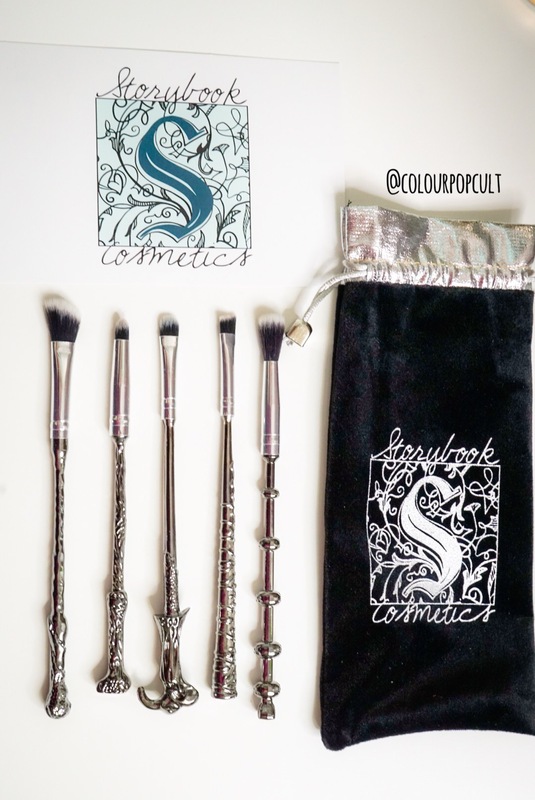 @storybookcosmetics wand brushes are here! They arrived this week and I’ve been playing with them even as most of you will legit frame these babies as mementos of growing up with one of the greatest modern sagas ever! First of: these are not plastic or wood, these are made out of metal. They are sturdy and carry weight and if you so choose to chuck it at someone when your spell doesn’t work: yer gonna give someone a bruise. Second: the actual hairs are super soft as they are fully functional brushes. I didn’t expect gimicky items with a half asses brush part as I knew the triplets have poured their heart onto this project, but I was still happily surprised. Only brush wasn’t too hyped about was the angle brush cause I normally like thinner brushes for brows/eyelining. I always end up using these angle brushes to pat glitters on (I have this fear of using regular shadow brushes to pat glitter, like the glitter is never going to go away like fairy herpes or something). 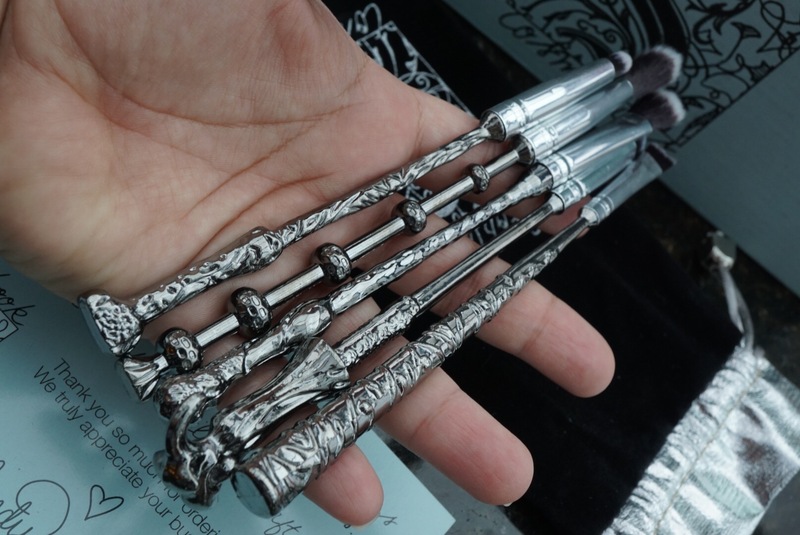 The blending brush and crease blending brush were fluffy and right sized as was the small pointy brush. The shadow brush is actually a good option for ColourPop Shadows too, although my new CP brushes just arrived too anyway! All around: I like the concept, you know you had me at wand, I love these chics inventions and plans to come and I’m absolutely a fan of their future palettes. It’s been hard to write this without filling it with Harry Potter references but Let’s just say receiving them in the mail was almost as good as finally getting my hogwarts letter.